The Casa Loca team return from tour and a successful Ibiza residency to ignite Saturday nights with mind blowing costume-design, hair and make-up, fully choreographed routines and enthralling stage shows, bringing an element of theatre to the club in a way not seen before in the capital. With their Ibiza style parades, routines and production, you would be hard-pressed to feel anywhere but in a super club on the White Isle. Throughout the year Casa Loca will rearrange, redecorate and restyle the venue, to merge, mangle and develop the party-goer’s experience so that no one visit is ever the same. 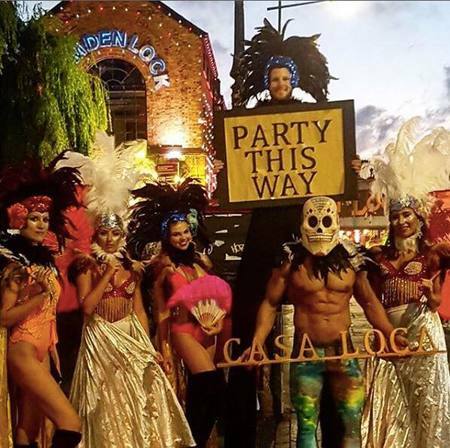 A party that makes a noise wherever it goes, a party that now calls Proud Camden it’s home; together with the masked man ‘El Loco’ himself, we present to you Casa Loca – The Weird & Wonderful. Price: Standard – GBP 8.00. Jake Cusack’s ‘There Is One For Me’ is out today!